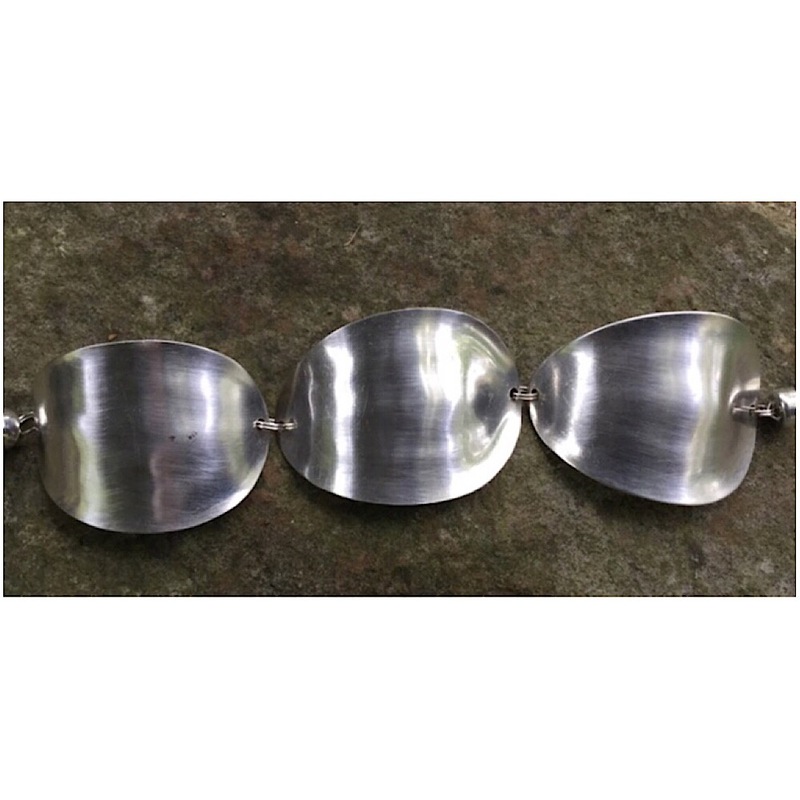 Vintage silver plated teaspoons that have been cut and hammered to make a unique bracelet with a very strong magnetic clasp. This bracelet is size small. 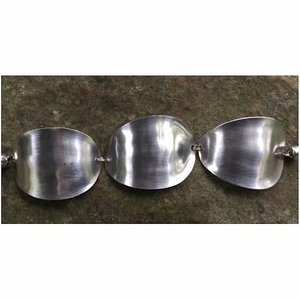 For bigger sizes go to Spoon bracelets on this sight.